Not too long ago I took the opportunity to adventure out to the River Bluffs Open Space to get a first-hand look at the riparian site where we will be working at on March 23rd. Prior to this visit I had only seen pictures and heard about the site. I wanted to be sure that I was familiar with the location prior to the project. 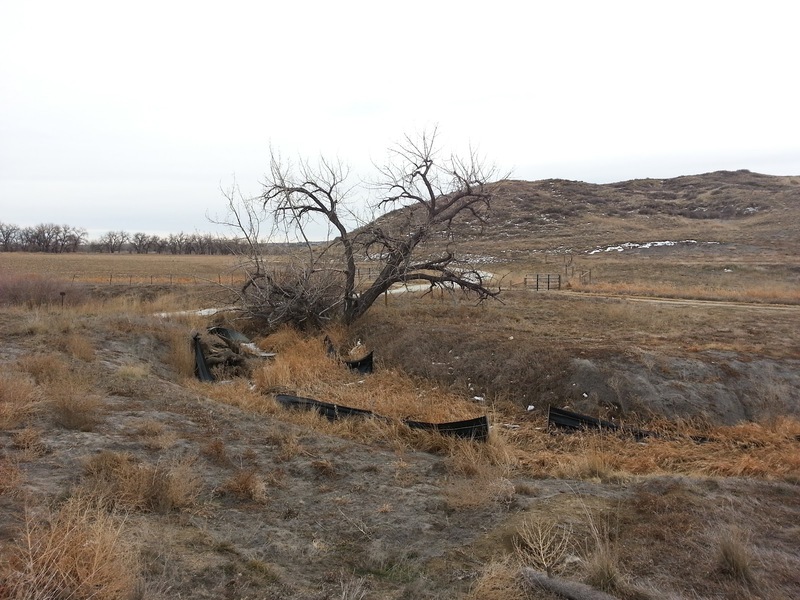 If you've never been the River Bluffs you should note that it is important to turn North off of 392 onto South County road 3, immediately after you pass by the Ptarmigan Country Club (before you drive down the hill). You are only on County road 3 for roughly a 1/2 mile and you will see the Poudre Trail on your right side. 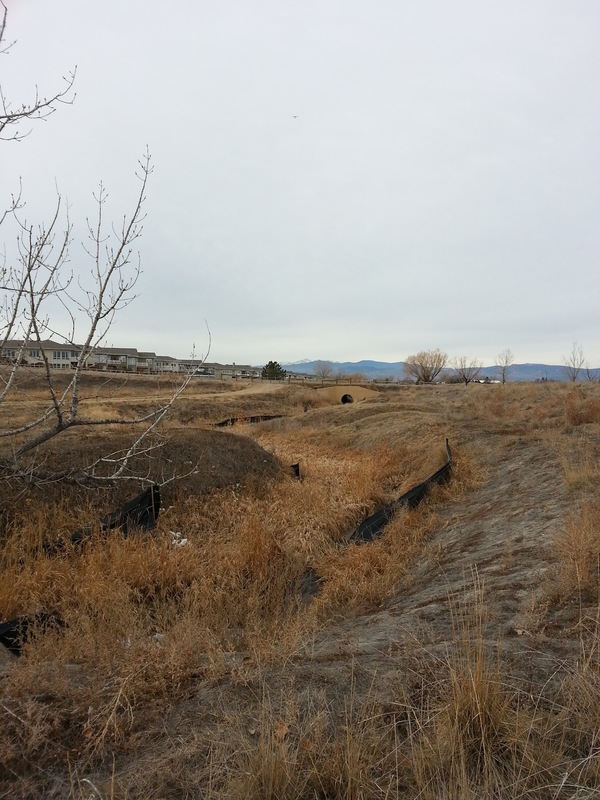 Turn right onto County road 32E and you will soon see the trailhead for River Bluffs Open Space. Here is a little map that may help you. My little helpers are pointing out a sign near the River Bluffs trailhead letting us all know that the County has been hard at work to make the Open Space a healthier landscape through habitat restoration. Habitat restoration has many benefits for the land such as improved wildlife habitat, improved ecological function, and improved hydrologic function. 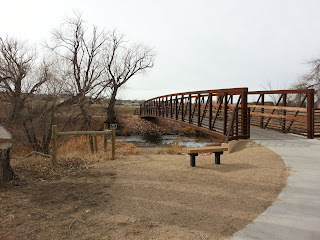 Shortly after the fenced-off restoration site we came across this lovely bridge over the Poudre River that connected the short River Bluffs trail with the Poudre River Trail. As a side note, this turned out to be a great place to throw some stones! 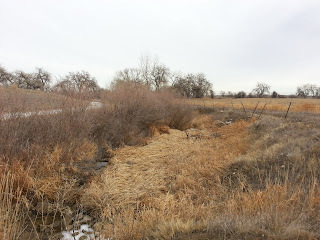 After crossing the bridge and turning South we came across a small drainage leading into the Poudre River. 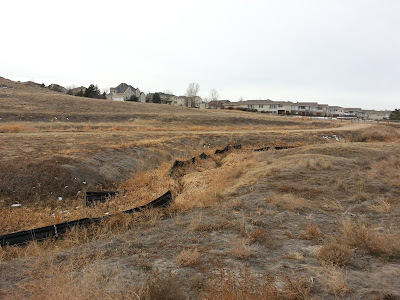 This drainage appears to be fed by the area surrounding the Northeast section of the Ptarmigan Country Club. 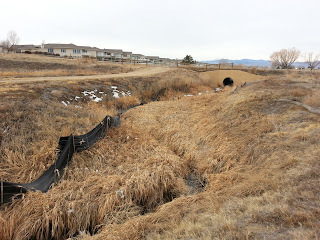 On the West side of the Poudre River Trail you notice many willows and woody plants lining the drainage ditch. However, on the East side of the trail you see the picture above. 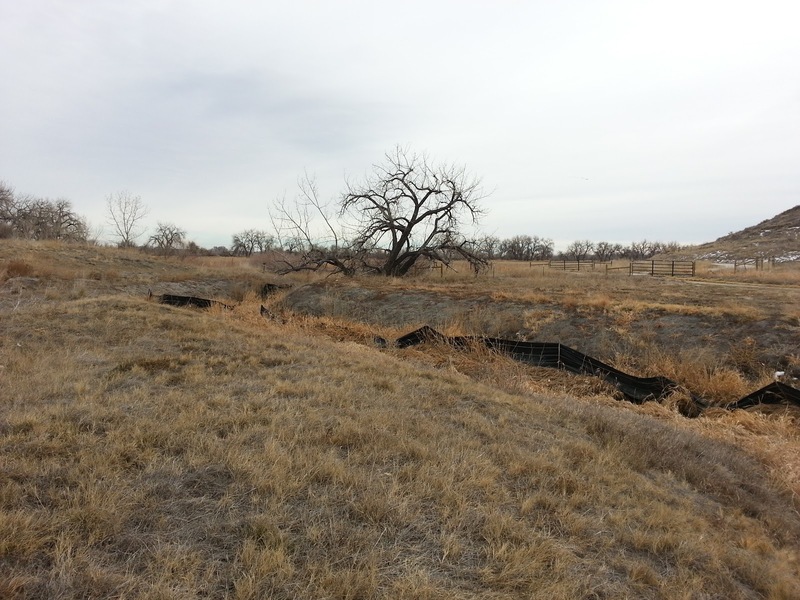 This segment has been severely eroded, in part, due to the lack of woody vegetation. 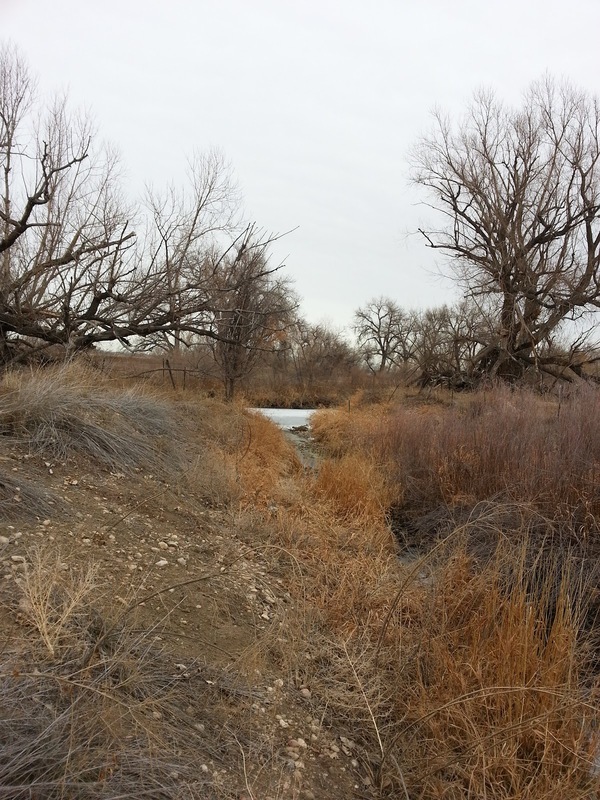 Woody plants have strong root systems that are able to anchor streambanks and prevent erosion. 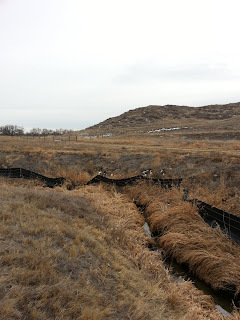 Some parts of the drainage have been bioengineered to improve the streambank structure. 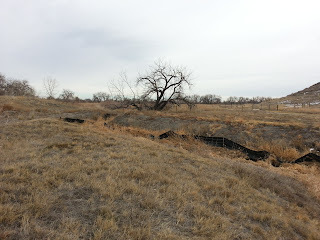 In this photo you can see the only bit of woody vegetation along this degraded segment. The Poudre River Trail is immediately adjacent to the tree. 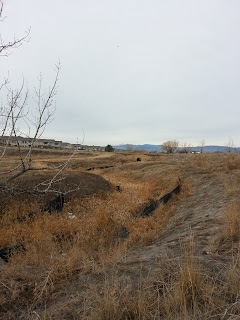 Here you can see the grayish color of erosion matting that was laid down to prevent soil erosion and help anchor plants that were transplanted to the slope. 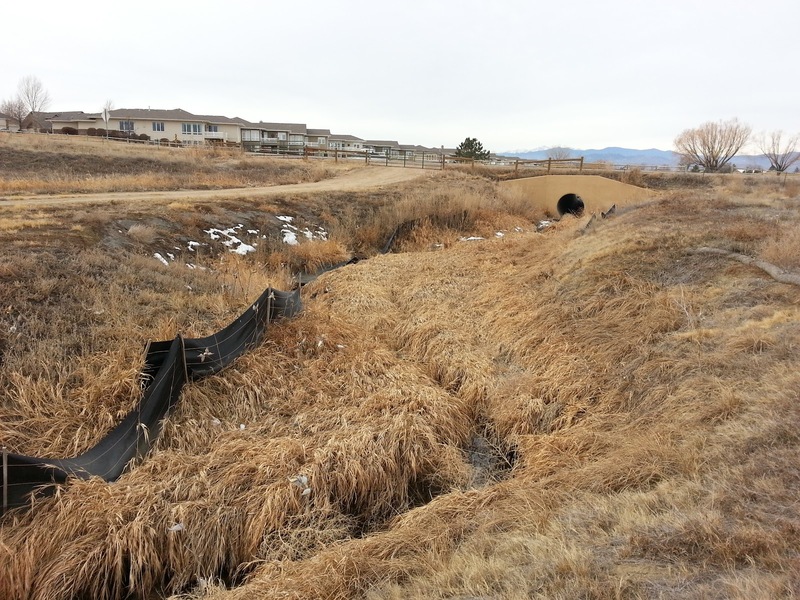 There is plenty of space for willows and cottonwoods to help stabilize the soils and streambank while also providing habitat for birds and other animals. 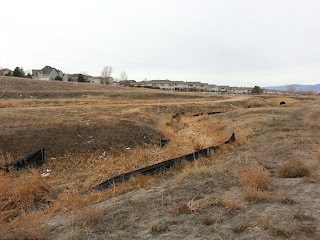 This is a picture of the West side of the drainage where you can see far more woody plants. Walking along this section we could hear birds chirping and wildlife scrambling around in the brush. The drainage eventually leads into the Poudre River. This should be a fun project and I'm excited to see how many plants we can get into the ground. 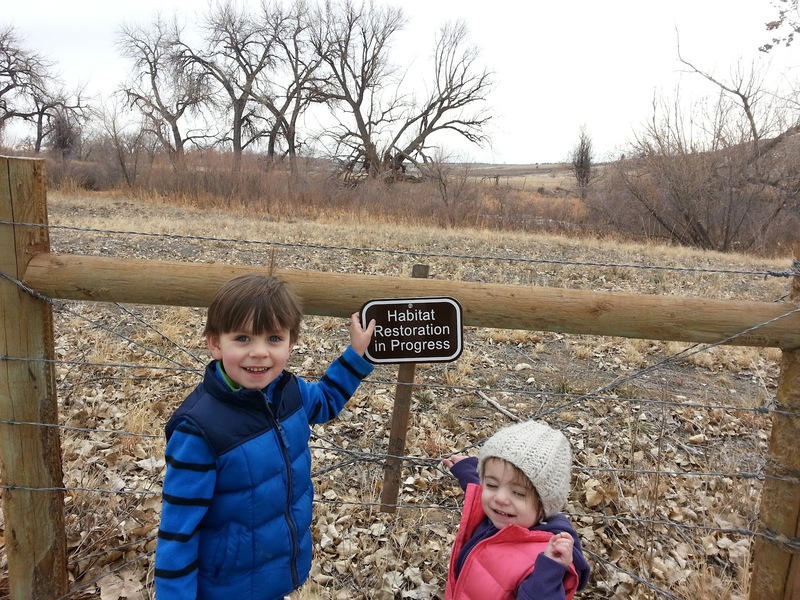 Our work will directly benefit wildlife and the Poudre River. I can't wait to see all of you out there for Trailcology's first project! 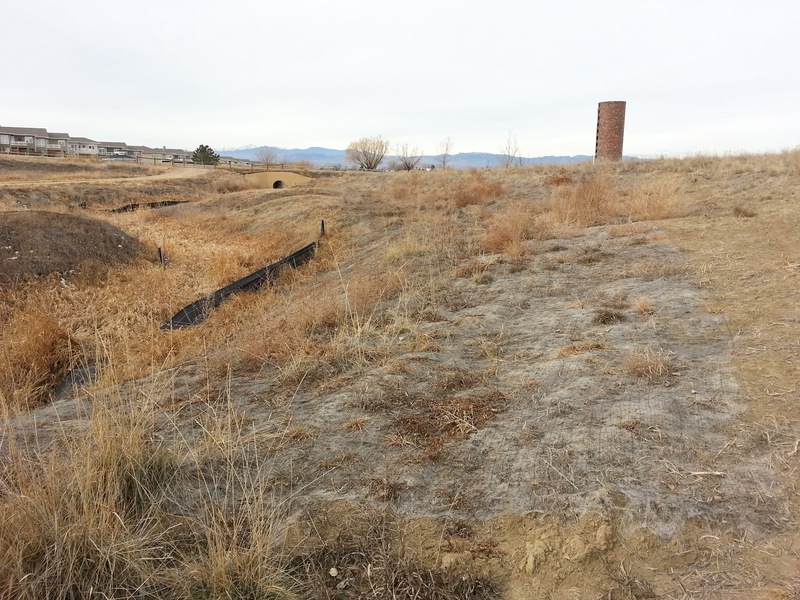 Don't forget, if you want to register for this project please send an email to Jeffrey Boring at Larimer County (boringjs@co.larimer.co.us).